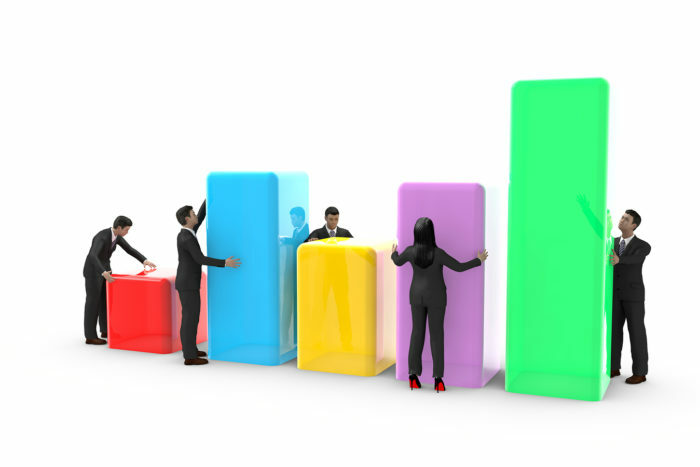 What’s stopping HR from moving forward as a value-added must have function? However, approach the question with a “Growth Mindset” and ask yourself: “Really is this the case; are all HR functions and leaders truly adding value and considered as a must have function?” With the Growth Mindset hat on this should be your internal challenge question about developing and raising the bar higher and higher. Of course, when some people read this article, they will simply state the answer to the question as being “Nothing!” To this answer I would say, are you really sure and how can you be so confident? At this point I should say that it isn’t all gloom and doom and I recognise that there are HR leaders and functions out there that are at the top of their game. However, realistically this is more the 20% than the 80%. If you were to look into the number of companies/organisations that have a 21st century HR and people strategy aligned to the overall company, I wonder what the stats would be? One of the main things that I believe is missing today is a simple and clear minimum standard HR and people model that states what we should be doing. Here are five starting points based on my HR model that will help you to think about and address the value-add gaps and must haves for HR as a function of the future. One of the greatest blockers that exist today with HR is that our professionals aren’t great at highlighting or explaining how and where they truly add value in a clear and data driven way. After reading this article I suggest you list the value-add things you do over the course of the year. Describe how you know this: how are you measuring this or sense checking it? In addition, who knows about this great work and how is this information getting out there? When you have finished the exercise pin it up. This will be your starting position. Now, look at this list to see if these programs are aligned to your HR and people strategy and if they are not, ask yourself what you are going to do differently. By doing this you will see if you are a) on the right track, b) where you are not aligned, and c) what else you need to be working on as your top priority. If you are personally working on the top priorities great, but is this also true across your function? Remember: Your priorities should be measurable, otherwise how do you know that you are actually making a difference? For the success of every company/organisation you have to have the right leadership in place, the right culture, the right mindset, etc. If that isn’t HR’s role to ensure as a strategy and operational piece, then what is? Leaders must have the right behaviours, competencies and people capabilities to inspire, to innovate and to passionately move the ship in the right direction. And who are the successors? This is another one of the biggest areas that HR can and should add value quickly. How? By looking at what is actually required when we engage with our people; Too much red-tape, processes that are not slick and poor use of technology. Time and time again I hear people complain how long things take when they engage with HR and how clunky the systems are. Even when systems are new, they often just replica what was there; the process wasn’t updated to fit with what workers want and experience with other technology. One area where HR can add value and have a real business impact is in the recruiting and onboarding process. If you look at the time it takes to bring in a new employee today, how would your process compare to the best in class? We need to remove the mentality of HR just meeting its own needs and refocus to our internal and external customers in the design of anything new. We are very good at addressing this in the companies we work for but, ironically, we seem to close one eye when it’s closer to home. We need to consider if the people in our teams are passionate about what they do; do they have a growth mindset and are they willing to evolve? Are they influencers, able to use data to construct viable strategies for the future, and do they deliver? Today’s HR professionals must also be business professionals, knowledgeable in the way the organization operates and how what HR does advances business goals and has a positive impact. Not everyone on your team may be able to do that. As my grandmother once said, you can’t make an omelette unless you crack a few eggs. The great leaders of every generation have always had one eye on the future, and this has to be part of our DNA. The static approach to what HR does today will not enable us to be seen as a forward-thinking, value add function. Employees are looking to us to help them understand how their roles will change in the future. They are already concerned that robots may be taking their job. Are you discussing at a senior level the roles you need now, how they may change, and what roles will be needed in the future? And where you are going to get the talent you need? If not, you should be. This must be a key part of a forward-looking people strategy. I firmly believe that HR can, with the right focus and model, be the “value added, must have function” for every company. 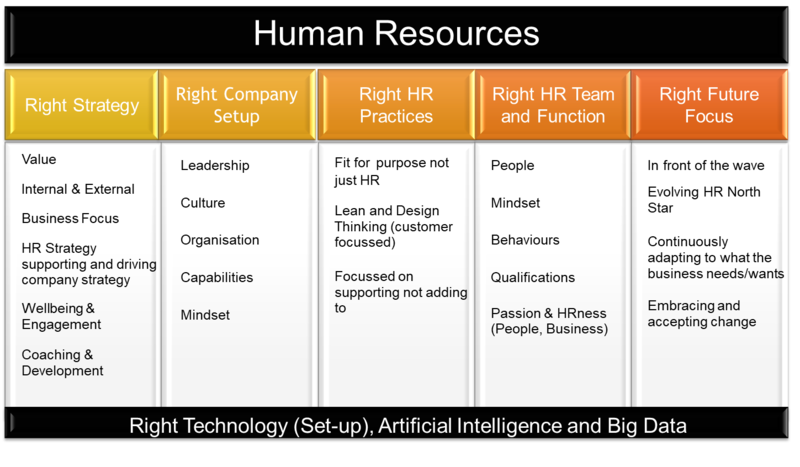 I believe that my “5R” HR model is the minimum HR teams and functions should aspire to. With the right focus and with the right people HR can truly move forward and enable the organization to grab the amazing opportunities that are presenting themselves today and in the future. Glenn is a freelance HR consultant and has worked with Bank of America, HSBC, Ecolab and Imperial Brands in multi-discipline strategic and operational roles across the world. Prior to this he was employed Eversheds LLP, Accenture, Koorb (NZ) and EON as well as numerous other companies. He is working his way to his PHD, becoming a future CEO and evolving his HR consultancy business to ensure that he continually adds value to his clients, now and in the future. Glenn is passionate about coaching, emotional intelligence and company evolution. His new book Human Resources Changes The World aims to disrupt the field of HR and change the traditional approach to who becomes a CEO.